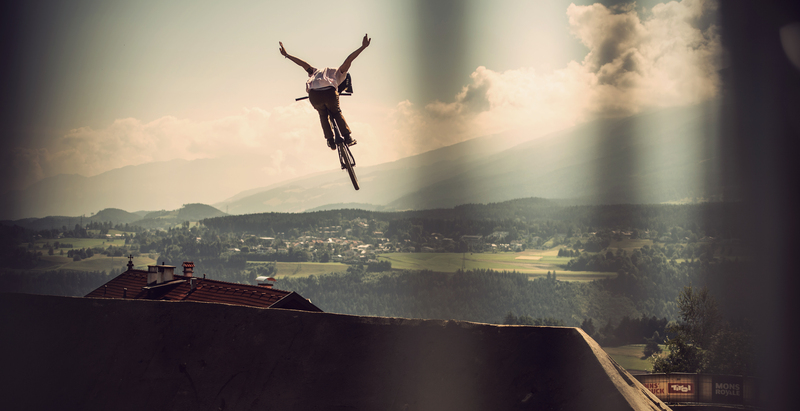 Crankworx are the Olympics of mountain biking. 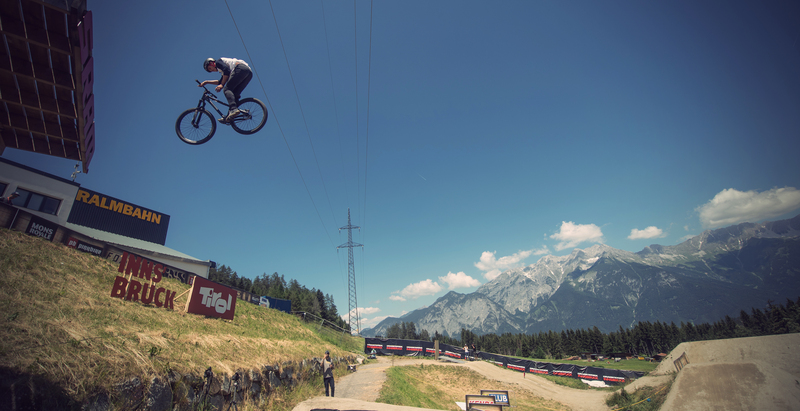 With its four stops in New Zealand, Austria, France and Canada, it is by far the largest event series in freestyle mountain biking. 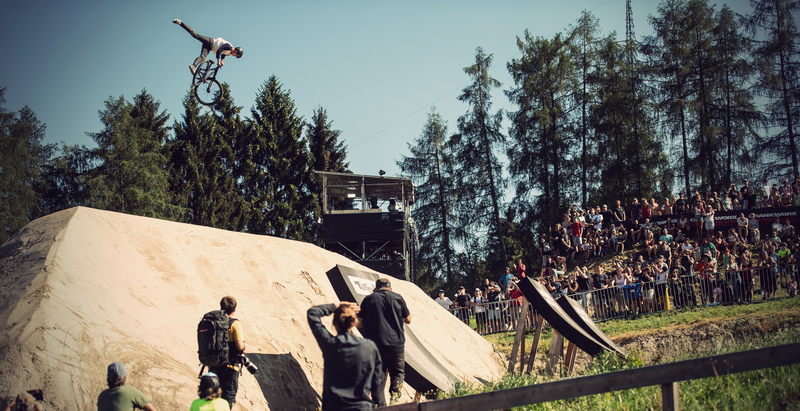 Last weekend the Crankworx Stop took place in Innsbruck, Austria. At the start also some TSG Team Riders, who gave their best at the different contests and races. 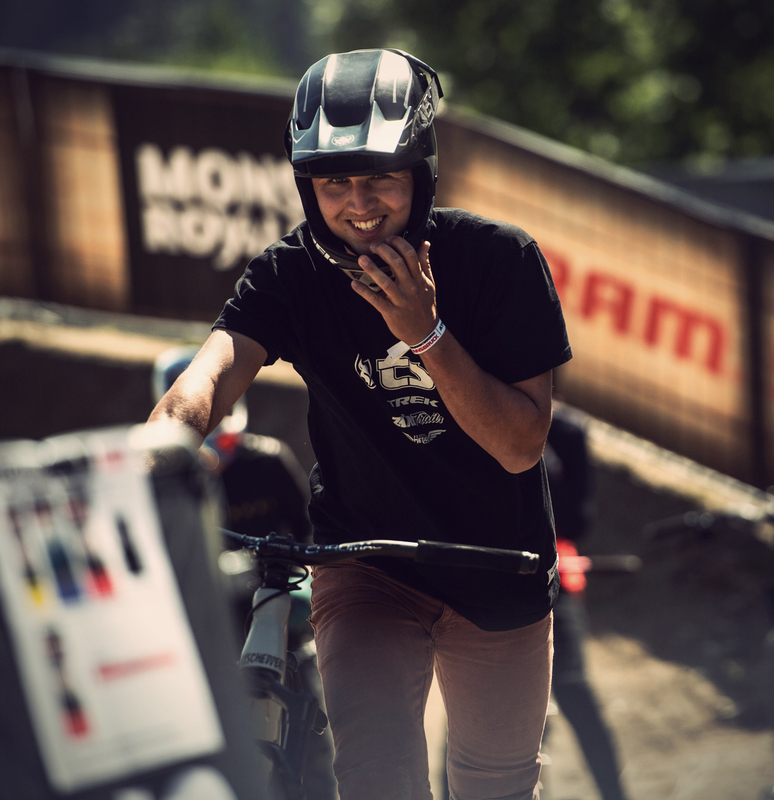 “Pump for victory” is the name of the game at the Pump Track Challenge. 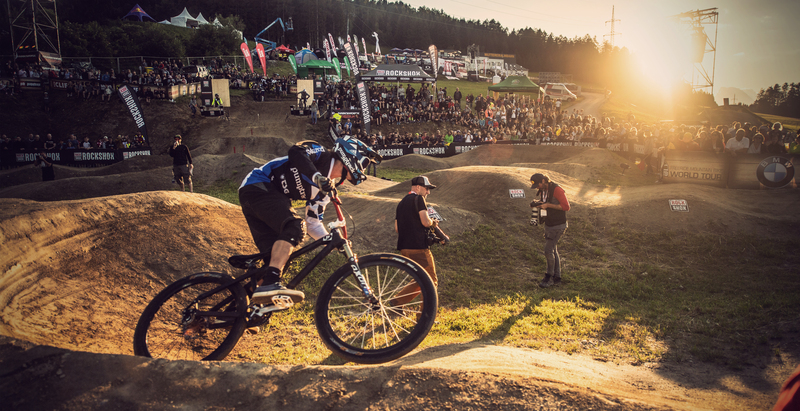 Competitors must complete the circular track without pedalling – all they are allowed to do to build up speed is pump their bike up and down over the rollers and obstacles. The first one to the finish wins. 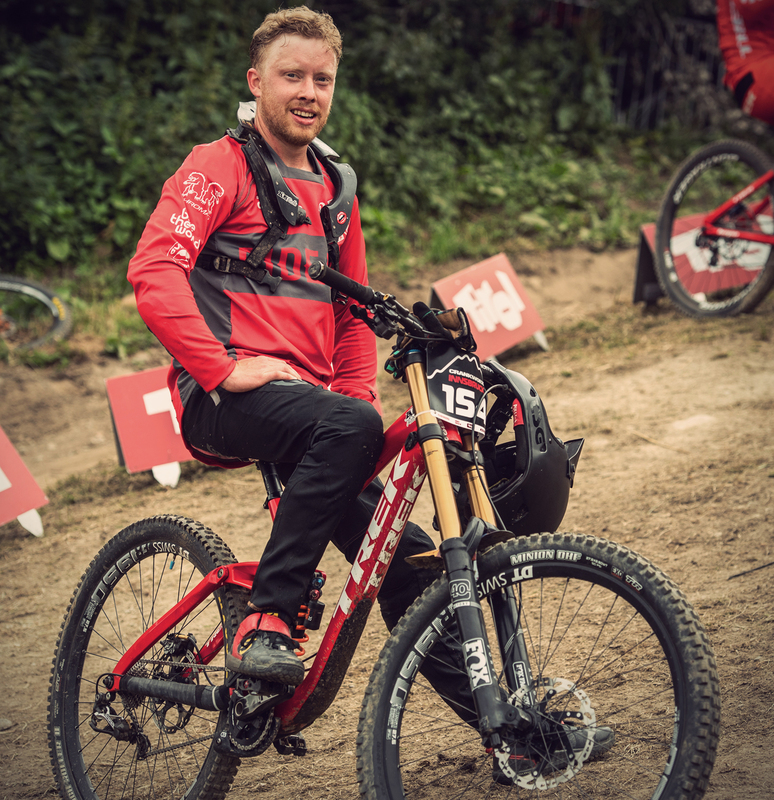 Benedikt Last, our German 4X Champion, was the most successful TSG rider here and reached the quarter-finals. 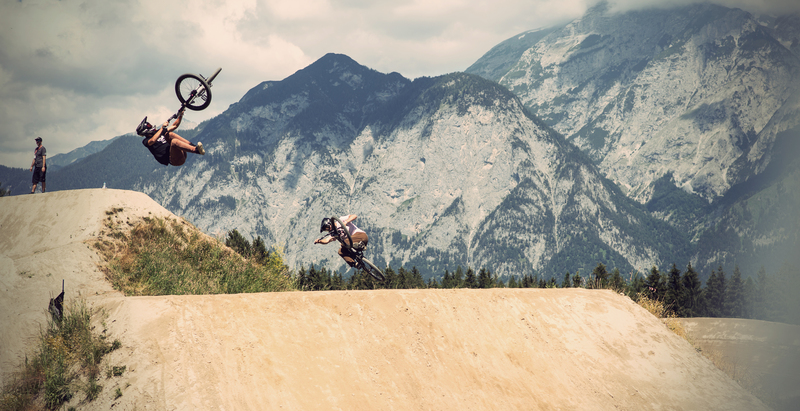 The Dual Speed & Style is a head-to-head competition carried out in a dual eliminator format. 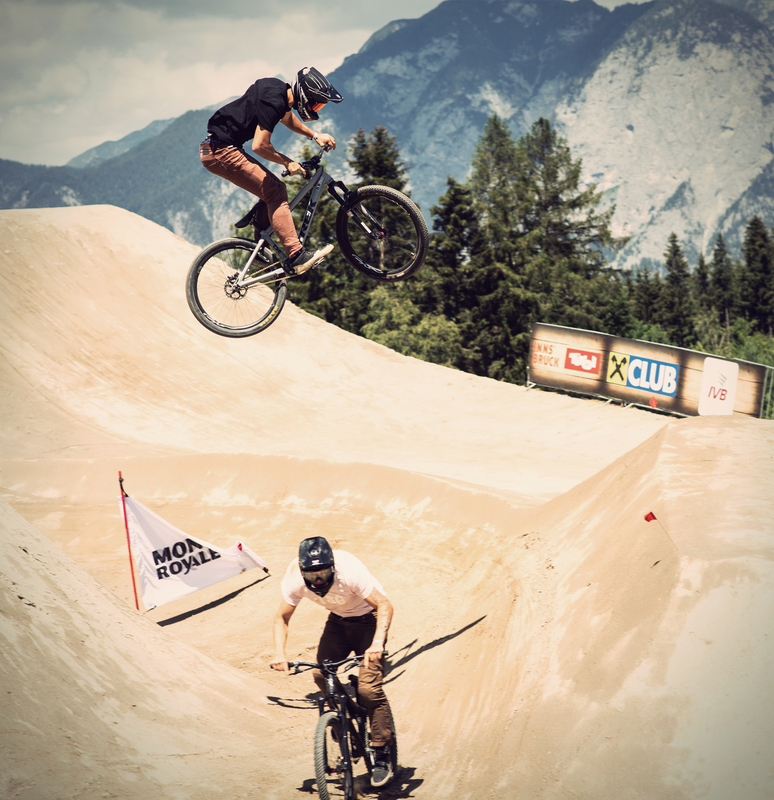 Two riders race against each other and try to make it to the finish as quickly as possible while performing the most stylish run on the dual course featuring step-ups, tables and drop-offs. At this race the next day several TSG Team Riders were competing: Amir Kabbani, Lukas Schäfer, Lucas Huppert and Antoni Villoni gave full speed. Amir showed nice runs with stylish Flip one Foot X- ups and 360 one foot can can. Unfortunately, he could not beat his counterpart and was knocked out in the 1/16 finals. Lukas and Lucas came furthest and had to compete against each other in the next race. Lukas Schäfer triumphed in the battle and made it to the next round. In the eighth final, he unfortunately lost to Greg Watts. 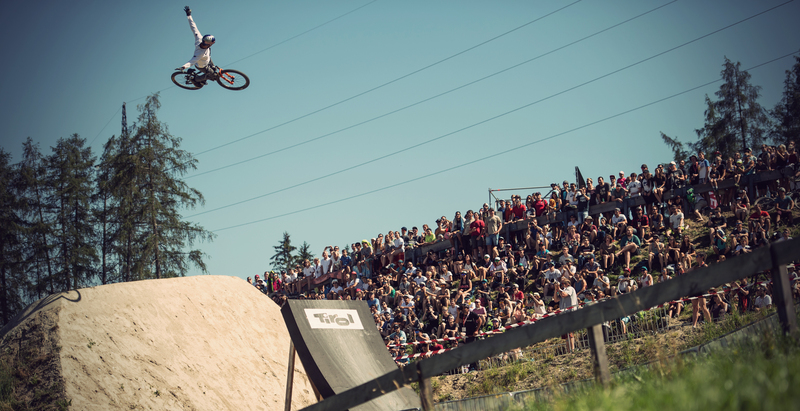 Before the finals at Speed & Style in the evening, the legendary Whip Off took place. 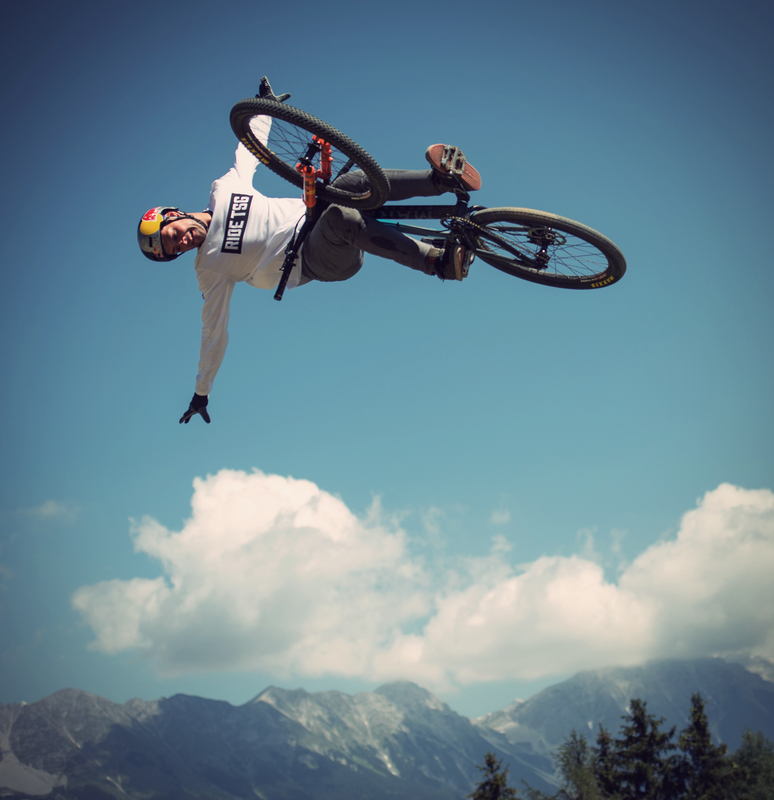 The Whip Off Contest is certainly one of the coolest events at Crankworx Innsbruck, not least because of the spectacular mountain scenery. Besides Amir, Lucas and Lukas Schäfer, Timo Pritzel also showed how classy he is in the air. With blue bird weather and summer temperatures, the fans were enthusiastic about the whipping. 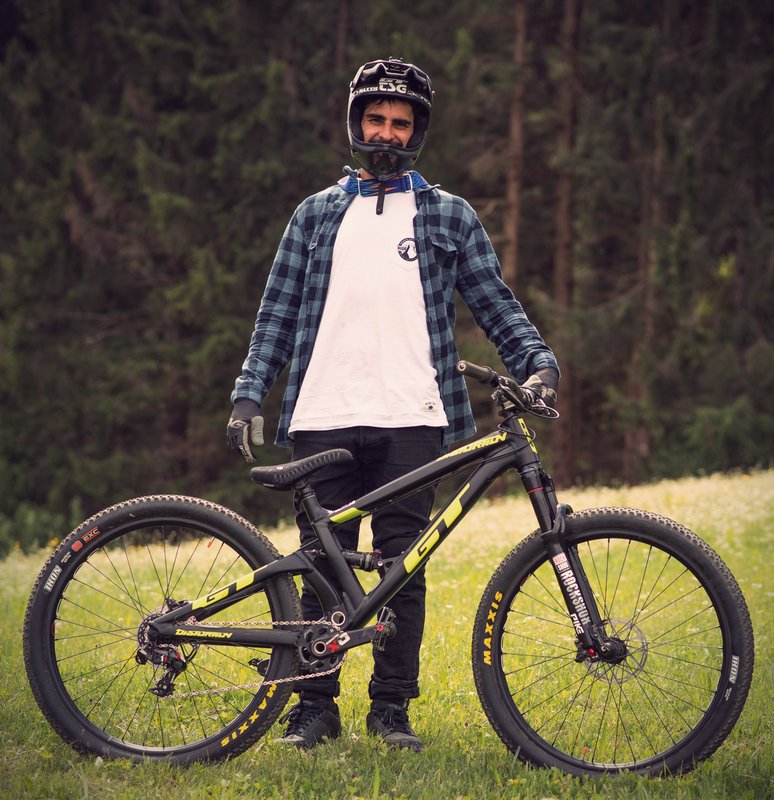 Lucas Huppert is gaining his first experiences on the big bike. Let’s hope next year the whips look the way he handles them on the dirt bike. 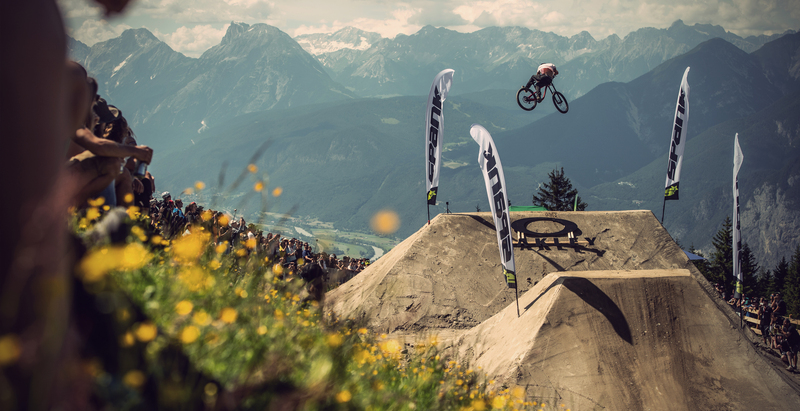 Lukas Schäfer probably did not show the heaviest whips, but by far the most steez. That got him into the finals. The two winners of the jam session format were last year winners Louis Reboul (FRA) and Casey Brown (CAN). 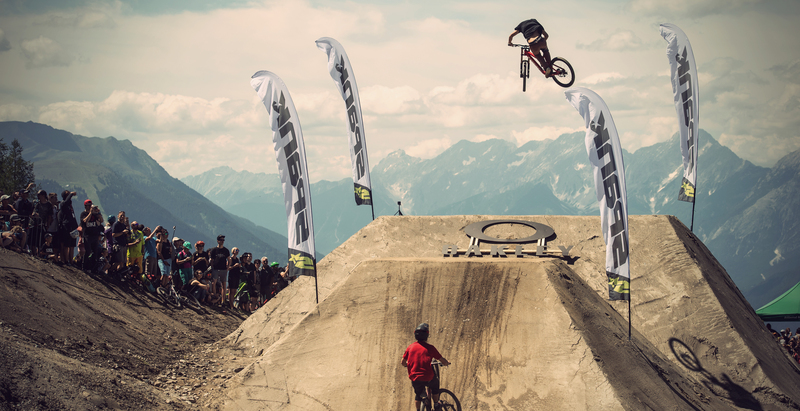 On Saturday the Crankworx main attraction took place with the slopestyle event. 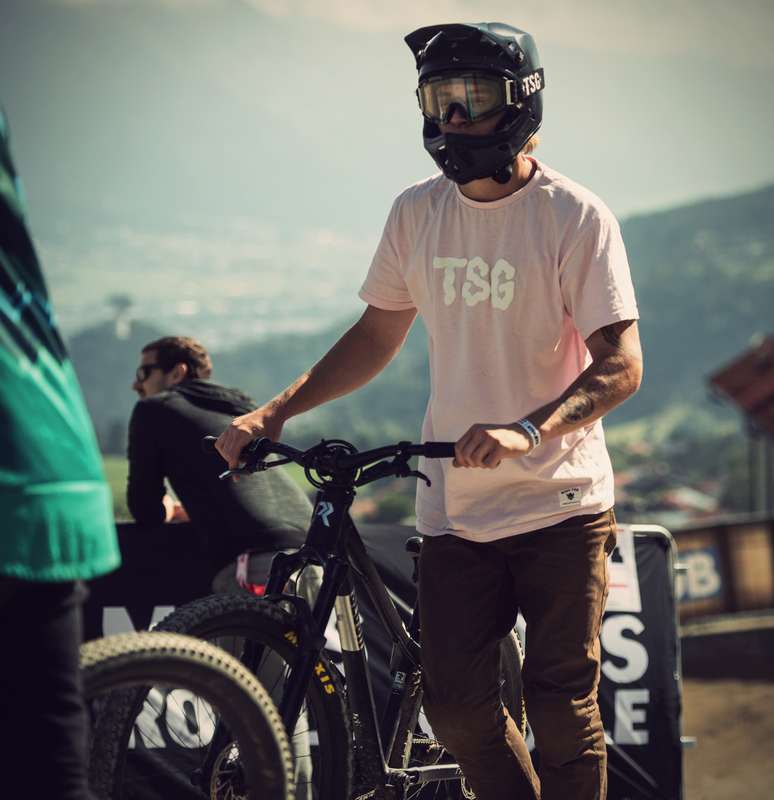 At the start we had TSG style machine Matt Jones from the UK and our new pro team rider Erik Fedko. Erik struggled with pain in his foot all week and also crashed very hard on his first run. So it was good to see him at the start again in the second run. He made some adjustments to his run and then showed a super stylish run from top to bottom, which catapulted him to 5th place. With this score he can be completely satisfied! Matt Jones also showed a great run, but had problems with the second one. A hang up after the 720 took his speed for the next jump and he had to break up. He finished the contest in 6th place right behind Erik. On Sunday the downhill race took place. 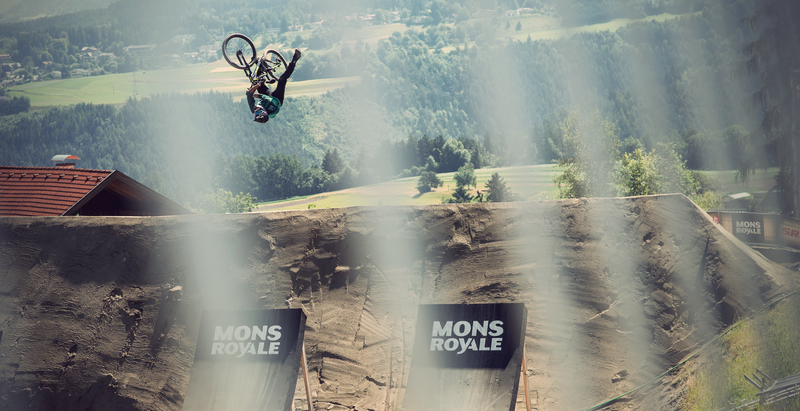 Packed with jumps, roots and technical sections, this event brings thrilling action in a race against the clock. 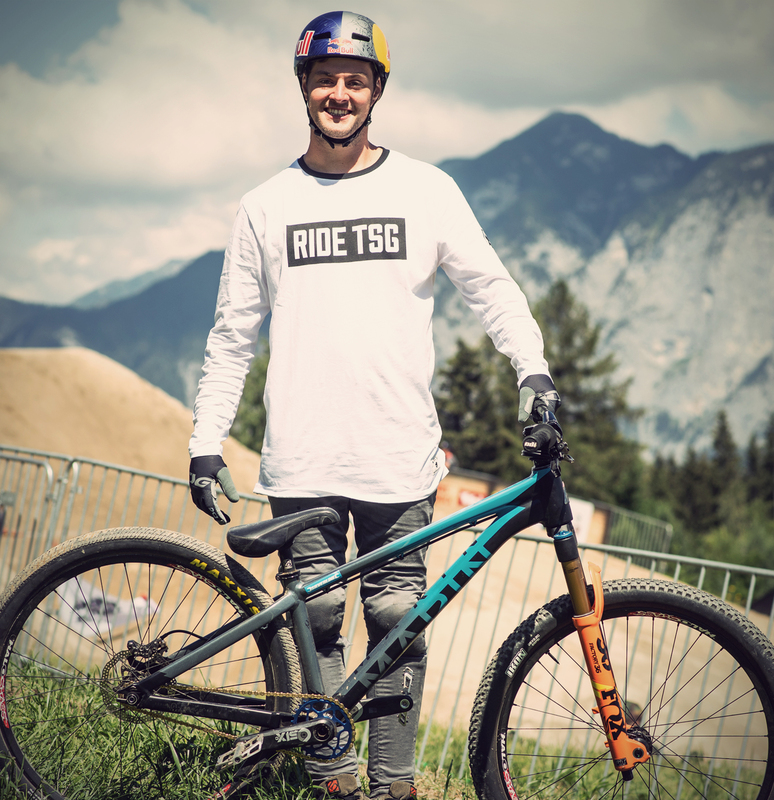 Biroma team rider Dominik Widmer supported by TSG finished on the 66th place. A weekend full of action! 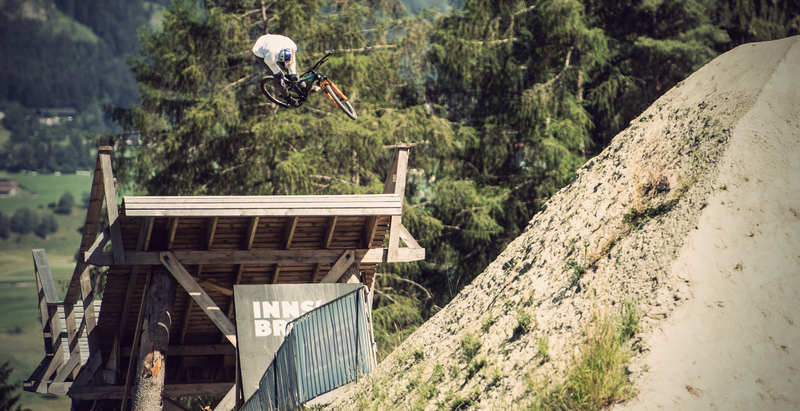 And it continues with the Crankworx in Let Gets, which is currently running. Good luck to our riders Erik Fedko and Matt Jones!